I am so excited to be taking over this blog from Todd, I have big shoes to fill! For those of you new to this site, WELCOME! The purpose of this blog is to give you an opportunity to peek into the real Chicago Booth Student experience, through the eyes of current students over the next academic year. This blog, along with our Facebook page (launching this month!) is our way of welcoming you onto our campus and our 2 year MBA experience from the comfort of your computer/smartphone/tablet! Our mission is to be candid about what it’s like here at Booth, and to help you decide if this could be the perfect place for you to pursue your full-time MBA. I will be one of your guides throughout this experience. A little about me – my name is Tina Gao and I am currently a 2nd year student at Booth. I am the Communications Chair of DSAC (the Dean’s Student Admissions Committee). I, along with my other 5 Co-Chairs are passionate about helping our Admissions Office shape the admissions process for prospective students. I hail originally from the suburbs of Philadelphia, and after attending undergrad at Penn I worked for a number of years as a Management Consultant in Washington D.C for the Boston Consulting Group. I chose to come to Booth to pursue a career change to Brand Management & Marketing. This summer, I am in Cincinnati, OH interning as an Assistant Brand Manager at Procter & Gamble. There are many reasons Booth was the right fit for me – many of which I hope to share with you over the course of the year on this blog and our Facebook page. Stay tuned, and I hope we can help you in your business school journey over the course of the next few months! Prior to starting this week’s topic, I saw there was a question on the last blog entry: “How does the recruiting process at Booth differ from other top business schools?” While I cannot speak for other schools, I can certainly discuss two features that really impressed me about Booth’s approach. First, Booth places a premium on their career services department. Using just one of many examples, out of the recent endowment gift from David Booth, a portion was reserved to expand an already incredible department even further by hiring two additional staff with the sole purpose of finding even more career opportunities after Booth – an effort inevitably benefiting any Booth student looking for a new career. Second, the student body was far more cooperative and helpful than I ever expected. While I don’t know if it is the same at other schools, I could not have asked for anything more from my Booth experience. I was truly amazed at how the whole atmosphere made the recruiting process go so smoothly. On the note of community, in this post I want to spend this entry briefly talking about how close we become with our classmates while at Booth. During the admissions process, there is a genuine and conscious focus on finding high potential leaders who truly are great fits for the Booth community (something roughly defined as individuals with intellectual curiosity, willingness to take risks, who aren’t afraid to challenge the status quo, and contribute diversity of thought and experience to the community). The effort the admissions team puts into this selection process definitely pays off in the atmosphere, friendliness, diversity, and caliber of people at Booth. Of my class of ~570 students, I would venture to say that I know and hang out with most of the class and am regularly impressed with how much everyone adds to the environment and our educational experience. The Booth camaraderie can be seen on a daily basis or at any number of regular functions but it can also be very easily seen as our class pans the globe during scheduled breaks (winter, spring, or summer). Recently I just got back from a South American tour with several my classmates which we took during spring break. The trip was amazing; we spent almost two weeks traveling the continent, experiencing new cultures and further strengthening the bonds created while at Booth (picture below). This is not a unique experience. Upon returning from break the two questions that almost everyone wanted to ask was “where did you go” and “who did you go with.” It was exciting to hear the answers because we were literally spreading out across the globe in groups of 3-100 Booth students and everyone had such great stories and experiences. To mention just a few, 25 classmates rented houses in Costa Rica and spent a relaxing time on the beach. Roughly 100 students chose to spend spring break in Mexico. 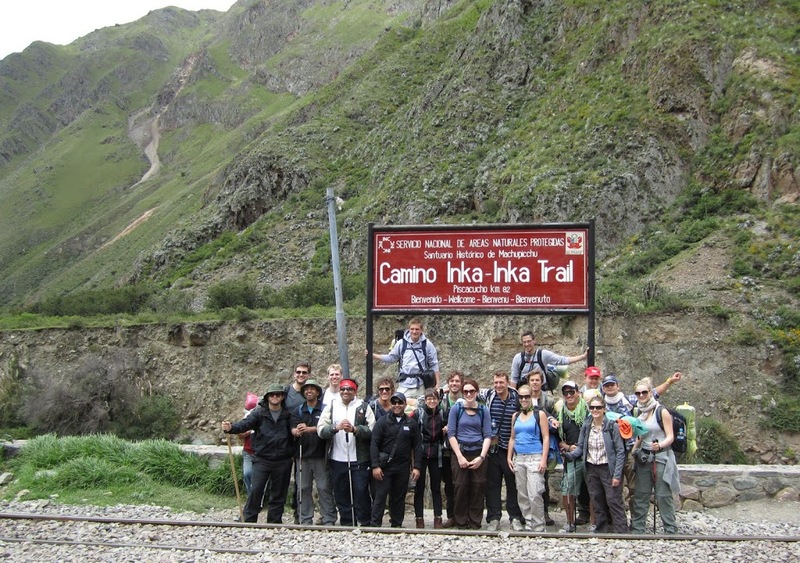 We even had a group of students trek as far as India to visit an area they otherwise hadn’t had much exposure to. The real point that I am trying to make is that the full-time Booth experience is so much more than just a world class education. Thanks to the great application/selection process, it is two year journey with a cohesive and diverse set of individuals that will inevitably become invaluable friends, travel companions, and the core of a great business network. Until next time, take care. I hope to see lots of you at Admit Weekend… it will definatley be a great time. Recently I had some questions and read a few posts regarding the competitiveness of recruiting while at Booth. As we are in the middle of interview season, I thought it would be a perfect topic to touch upon for this blog entry. No doubt recruiting is a major interest to almost anyone attending Business school. Unless you are going back to the firm you were at prior to b-school, you will likely be recruiting and the ability to transition the MBA into your dream job tops the list of concerns. The great news for all those interested in Booth, is that we have a world class career services department (Booth was recently ranked #1 across all MBA schools by the Economist largely in part due to our career services program) and a student body which together, help ensure we can land that dream job. As I have touched upon Career Services in previous blogs, I will focus on the student body for this posting. At the end of the day it is true that some people are competing for similar jobs or roles (a fact that is true at any business school) but what I have found to be impressive at Booth is how the student community still supports one another in making sure we are at our best for interviews. To try and convey this aspect I am going to use my own personal recruiting experiences over the past year and a half. Starting my first year at Booth, I was excited about switching careers. Eager and anxious, I started reaching out to classmates for advice and information much, much earlier than was appropriate. Despite this fact, every second year I reached out to was more than happy to help out, meet, and provide advice. While this might not seem like a big deal, they themselves were in the middle of their full-time interviews, classes and other responsibilities. As the internship recruiting season started to roll around for first-years, people in similar career fields started forming groups to help each other practice for interviews. Speaking from a consultant’s perspective, I joined a group of about 20 classmates who gave each other mock case interviews and beneficial feedback on a daily basis. Even during the actual interviews people were still helping each other out. I often saw classmates reminding people about critical dates/times, helping on last minute resume changes, or even just providing encouragement. Ultimately, while we were applying to similar jobs, we all realized that with our Booth education we were all capable of getting a great job and a cooperative environment was much more beneficial than a competitive one. Although my internship recruiting turned out well, I decided to rerecruit during my second year. During this process, I experienced this same cooperative atmosphere again – something ultimately helping me to receive an offer from my dream company. With my full-time job taken care of, my involvement did not end, now it was my turn to help out the new first years with their internship recruiting (to date I have given over 35 practice cases to the first year class). This type of situation is not abnormal. From talking with my classmates, I know that regardless of intended career field, area of study, or anything else, at Booth, you will find a family-like culture and incredible support. I hope this helps shed some additional light on the collaborative recruiting environment at Booth. As always, I am happy to write more in the next blog if people are interested. Good luck to those who applied in round two, I know the decision date is coming up pretty soon. Winter quarter has just started at Chicago Booth and as most of my classmates are hunkering down for a Chicago winter I have just arrived in Hong Kong with 6 of my Booth classmates. We are here for a 3 month long International Business Exchange Program (IBEP) at the Hong Kong University of Science and Technology (HKUST). Classes start this week and I’m excited to break into a new routine and a pretty eclectic set of Asia focused business courses. When I first began researching MBA programs during my application process, one of the most important characteristics that I was looking for was a strong international business component. Prior to school I had been working in Beijing, China for a little over two years with a private equity firm. During this time, I came to fully appreciate the importance of “emerging” markets for small US companies and international conglomerates alike. This experience highlighted the importance for me to pick an MBA that could offer significant international opportunities. While I knew Booth had a remarkably strong worldwide alumni base and an extremely diverse student body, it was their IBEP program that sealed the deal for me. Based on Booth’s exceptional reputation, the school secured partnerships with 33 MBA programs across 21 different countries. As HKUST is arguably one of the best MBA programs in Asia and is situated in a geographic region I am interested in, it immediately caught my attention. At HKUST I found offerings of core business courses, but I also found a unique offering of courses specific to the region such as “Investments and Finance in China” taught by Professor Larry Franklin, an accomplished businessman in the region, and the Entrepreneurial and Family Business Seminar. Finally, while studying abroad I will gain the opportunity to build another network of classmates and professionals, similar to the one I have built at Booth, who will hopefully be valuable friends and contacts going forward. Along these lines, I am also planning on also using the IBEP opportunity to find careers in the region following business school. Although international exposure was very important to me, it was equally important that I didn’t miss out on the full Booth experience. The quarter system at Chicago meant that instead of missing 1/4 of the MBA program, as I would have if we were on semesters, I would be away for just 1/6 of my MBA. Booth’s flexible curriculum also supported this goal. The ability to take the classes I wanted, when I wanted, meant that I could plan my schedule around the IBEP program and not miss any of the classes I was interested in. Finally, as I said earlier, I’m here with 6 other Booth classmates. In the months leading up to IBEP, Academic Services planned several social events for us to get to know eachother better prior to our departure. Although we each have a different career or industry focus, we are all bringing our Chicago experiences and camaraderie to the table. As I begin to settle in for the quarter, I’m extremely excited about everything this experience has to offer. Thanks Ward. Hopefully when he gets back we will hear how the experience was. Prior to closing, I want to comment a little further on the IBEP program. While some of the Booth community travels to our partner schools, Booth is simultaneously hosting 75-85 international students at Booth–an experience which enriches those who decide not to participate in the IBEP program. As always, good luck on the applications. If you want to learn more about the IBEP program you can read about it here. 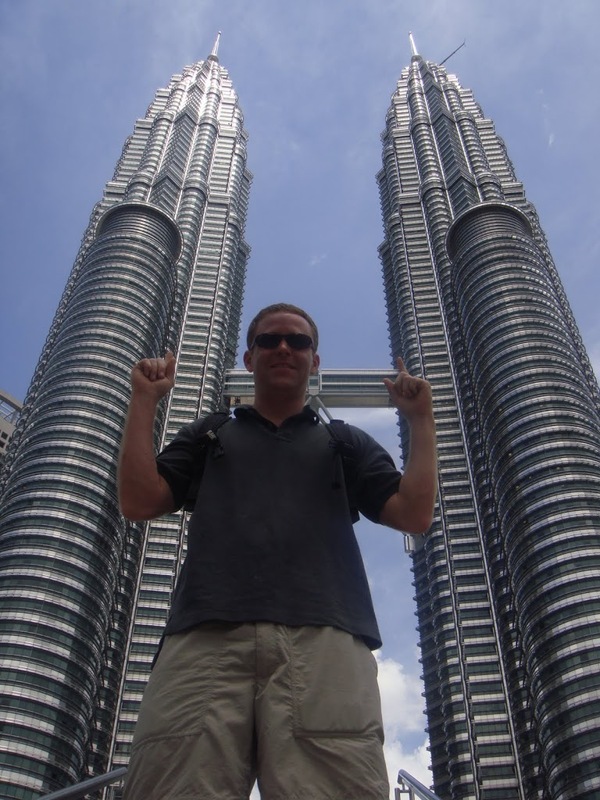 Ward traveling through Asia prior to starting the IBEP program. Over the course of the two years a student spends at Booth, there are virtually unlimited opportunities to hang out with friends, go on unique trips and build even stronger networks. Having just come from the Booth Ski and Snowboard Group’s annual winter trip, I wanted to use this week’s posting to share my experience at this phenomenal event. By the time the holiday season rolls around, school has been in session for almost four months. While the first quarter of the academic year always seems to be very busy with classes, recruiting and generally just getting back into the swing of things, there is no shortage of fun; even so, there is one event that is on the minds of almost anyone who skis or snowboards (and even some who don’t) – the annual Booth Ski and Snowboard winter trip. This trip, arranged by the ski group’s four second-year co-chairs, is a seven day extravaganza that takes place in a Rocky Mountain resort during the first week of winter break. This year’s location was Sun Valley, Idaho, and it was a great turn out. With a little over 200 first and second-year Booth students rolling into Sun Valley on December 12th, our school pretty much took over the town. Although it was a long day of travel to get there, as we started trickling into the resort our bags were taken and we were directed to a reception where the co-chairs had set up a reception with free food, drinks, and music. Almost as soon as people entered the room any stress that might have been present due to travels or finals vanished amongst friends. Just an hour into the trip and surrounded by a great group of Boothies, it was clear this was going to be an amazing week. Over the course of the trip most people started each day off by meeting up at the slopes and spending the morning and afternoon skiing or boarding together. While it was unbelievable snow (we got several feet of fresh power while we were there), the skiing and boarding was just a fraction of the trip. The winter trip was, as it always is, a big deal at Booth and the co-chairs went above and beyond in ensuring that the trip this year was something no one would forget. Backed by corporate sponsors and discounts from the mountain, every day after skiing there was a new location where we all joined up again for après ski (a get-together after the last ski runs of the day) for free food and drinks. 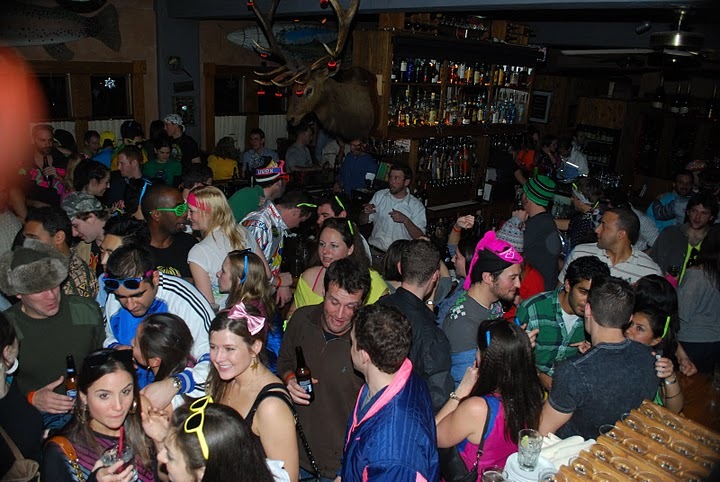 Following après, most folks decided to go back to their rooms, clean up, and likely take a much needed nap prior to the evening’s activities. At night there was something new and exciting every day as well: tubing down the mountain after it had closed for everyone else, scavenger hunt teams (we had to run around the town and get pictures of our team with things from a predetermined list), a winter carnival (a competition of a bunch of goofy events), a hot tub party night, ski movie release night, and a few theme nights where we just hung out at different venues in town. The trip was incredible; the only real challenge of the trip was just knowing when to call it quits for the night so you could still make it up for first tracks on the mountain. As the trip came to an end, however, the co-chairs held one final event for us – a formal dinner where awards were presented to some of the more noteworthy, memorable, or funny experiences of the trip and a slide show of pictures from the week. It was a perfect end to a perfect trip (I attached some pictures at the end of this posting). As you have heard me say before this is just one experience from one group but by now I hope you are starting to see a theme across the Booth experience: a world-class education, an incredibly tight community, and an overall great time. 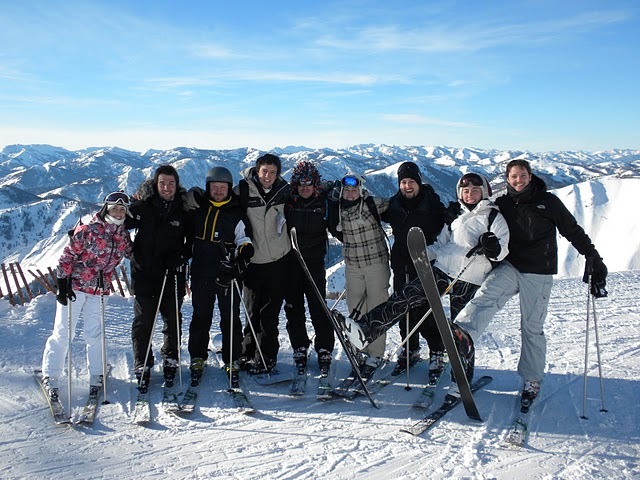 At Booth there are over 70 student led groups like the Ski and Snowboard group that all hold events for their members. While not all events are trips or socially related, regardless of your interests, I can almost assure you that at Booth there is a group of students with similar interests holding equally fun or engaging events. Until next time, best of luck on applications and I hope to see the folks who were accepted during round 1 at Admit Weekend (there is no better way to experience Booth than to come to campus and experience the stories and atmosphere I write about).